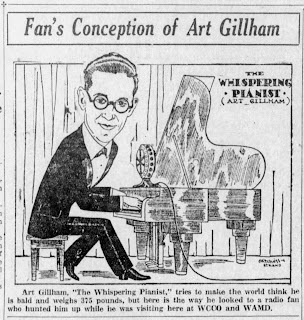 Ralph Lembo was not only keen in booking Blind Lemon Jefferson in 1928, but he also invited other recording artists to perform in the tiny metropolis, specifically ART GILLHAM, the Whispering Pianist of Columbia Records. 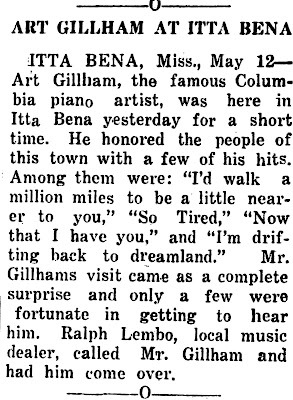 ITTA BENA, Miss.---- Art Gillham, the famous Columbia piano artist, was here in Itta Bena yesterday for a short time. He honored the people of this town with a few of his hits. 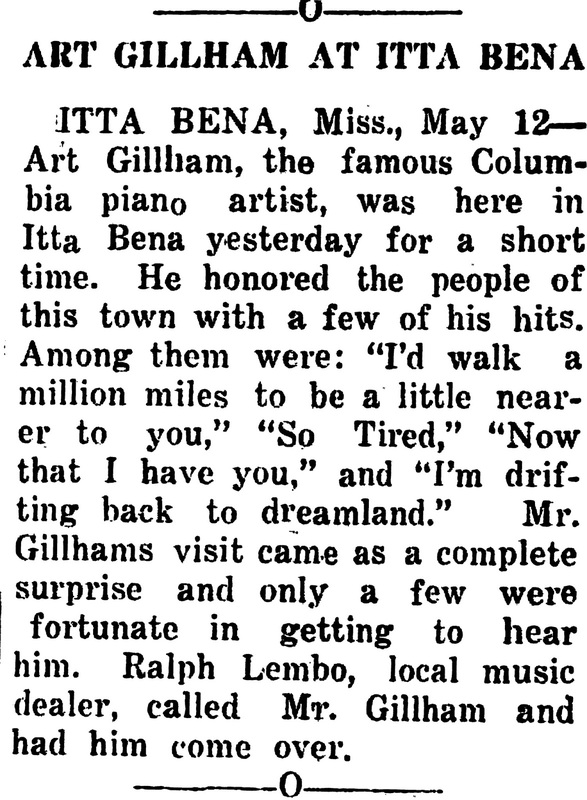 Among them were: "I'd walk a million miles to be a little nearer to you," "So Tired," "Now that I have You," and "I'm Drifting back to Dreamland." Mr. Gillham’s visit came as a complete surprise and only a few were fortunate in getting to hear him. 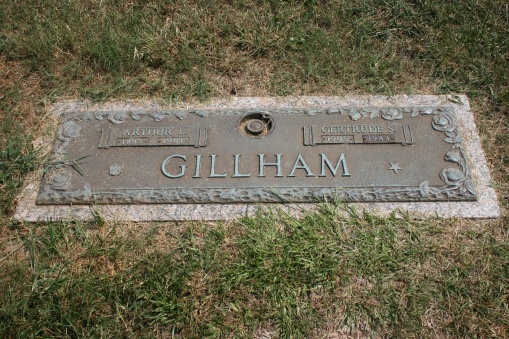 Ralph Lembo, local music dealer, called Mr. Gillham and had him come over. 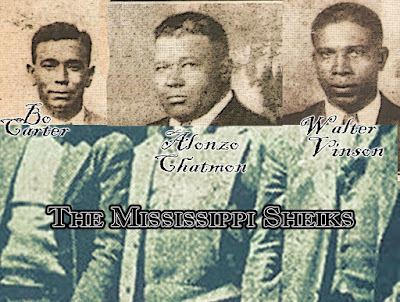 From 1926-1929, Gillham toured the Pantages circuit on the West Coast and the Loew's--Saenger circuit in the South. The intimate style that made him popular on radio and records did not translate well into large theaters. His style limited him to the smaller theaters, because amplifiers and speakers had not yet been installed in most theaters. He was on stage by himself with a piano and a telephone. The telephone was for "conversations" with his sweetheart, who no doubt was jilting him. Art used this as an introduction to his "sob" songs and to promote his image of not being able to get or keep a sweetheart. 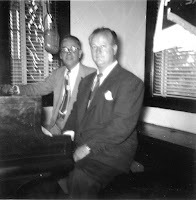 His radio and record image of being an old, balding fat boy could not have been used where his audience could see he was young, thin, with a head full of dark wavy hair. 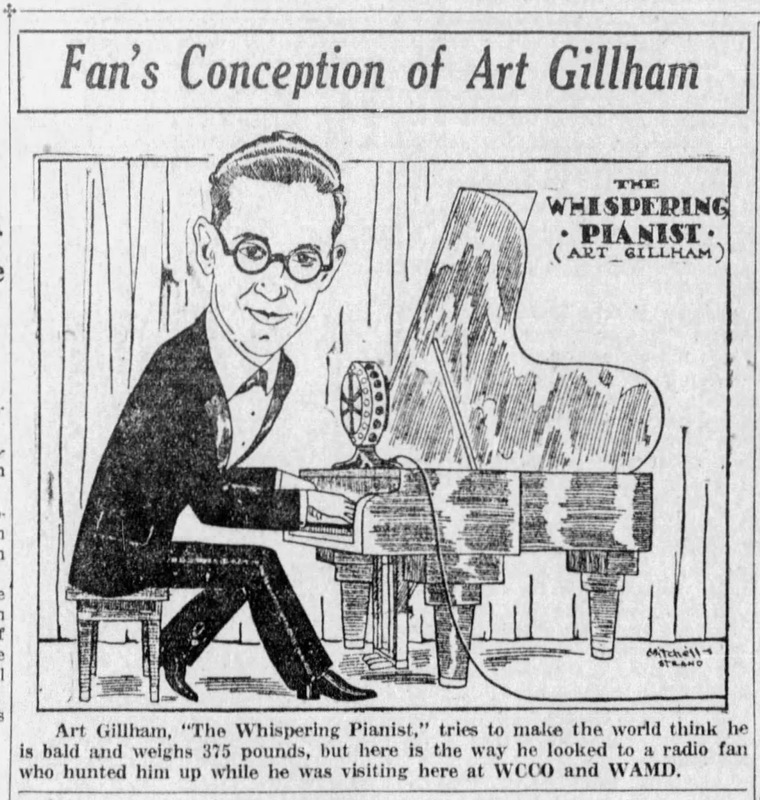 His appearances were usually well advertised, frequently with full pages of ads for his appearance and his Columbia Records.